There’s something about this bold display Roman which puts me in mind of the lettering used on American share scrip from the days prior to computerised stock trading. Somehow life seems the poorer for the loss of all those beautiful examples of the engraver’s art. 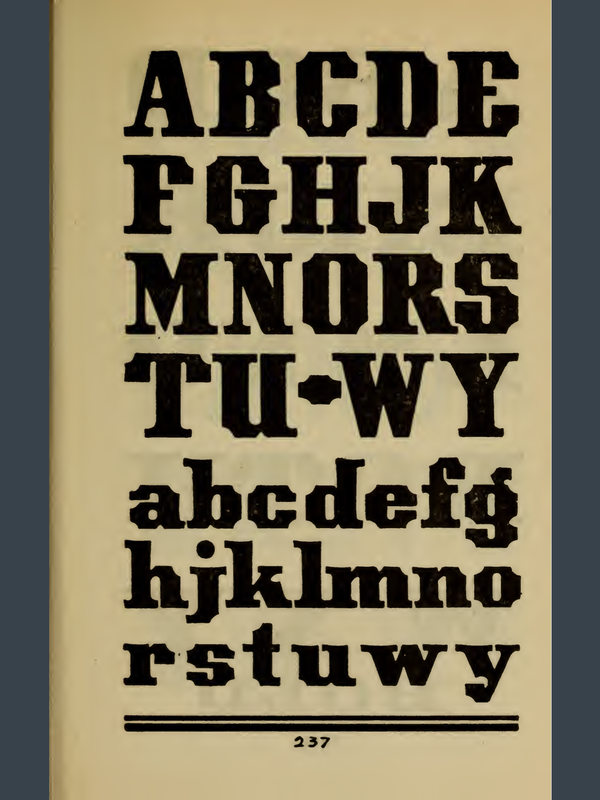 Meanwhile, this typeface, with its cutaway ‘corners’ has a distinct appeal.